The 140 students from the Class of 2014 who earned the New Haven Promise Scholarship and enrolled at an in-state public college or university had — on average — complete tuition and fees covered by the combination of New Haven Promise and FAFSA. The application for both of those programs are now open to the Class of 2015 and you are encouraged to act quickly. New Haven Promise and Yale University can help students and families navigate the process for both — FREE of charge — on Wednesday, February 25, at 5:30 pm in Room 111 at 17 Hillhouse Avenue on Yale’s campus. Please note that the federal government has sent out a scam warning about “financial aid advice services” charging unsuspecting students to find free money for college. Do not pay for such services, especially when we are here to help. NEW: If you have changes to make or mistakes to fix, here’s advice straight from the people who dole out the money. ** There is also a competitive Passport to Promise scholarship for students who finish below the 3.0 threshold, yet have a minimum 2.5 GPA while in high school. All other requirements must be met. The application for Passport is included within the regular application. The FAFSA application is more complex than the Promise application. To get started, you will need to get a Federal Student Aid PIN. We will get into the navigation of this process at the end, but for now you should get acquainted with FAFSA. This is government aid for low-income students, not merit-based assistance, and the money is available on a first-come, first-served basis. And, as you’d suspect, free money goes fast. 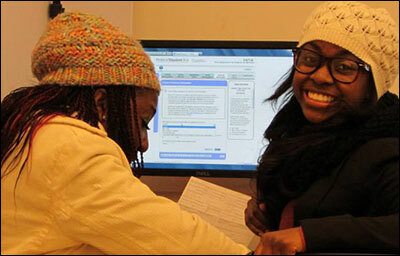 Before you get into all the rules and regulations, take a moment to watch a quick video, learn about FAFSA myths that have been debunked, discover more at the FAFSA learning center and take in some FAFSA tips for students with undocumented parents. Once you have that stack of data, you can begin your application here (Español) or bring it with you to FAFSA Night At Yale. I have been searching through different sources to gain access to a grant to pay for college, but is unsuccessful. I am a single, low income mom who has just finished two years at a community college and has registered to start a four years college this fall. I applied for financial aid, and have received a grant plus federal loans, but the amount I receive will not help me to acquire my dream of obtaining a bachelor degree. My two children are teenagers one just started community college and the other will start college in three years, so I am scared to take more loans as I will only be sinking my children I. Is it possible for you to provide me with any kind of financial assistance which could go directly to my college or a laptop to help me with my business math class assignment that will be done 80% online. If this is not possible could you send me link to foundations or contacts that I can reach out to? 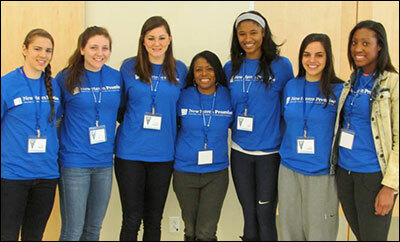 New Haven Promise is a program for high school students in the New Haven Public School District. I do understand your concerns and, unfortunately, there are limited dollars available available for adult learners. Unfortunately, Promise’s funders are focused specifically on supporting high school students in their transition to college. of course like your web site however you have to take a look at the spelling on quite a few of your posts. Several of them are rife with spelling issues and I to find it very bothersome to tell the reality nevertheless I’ll definitely come back again. Its like you learn my thoughts! You appear to understand a lot about this, like you wrote the e-book in it or something. I believe that you can do with a few percent to force the message house a little bit, however other than that, that is excellent blog. An excellent read. I will certainly be back. hello!,I really like your writing so a lot! percentage we communicate more approximately your article on AOL? I require an expert in this space to solve my problem. May be that’s you! Taking a look forward to peer you.